"This book provides a detailed and comprehensive answer to the question of State funding of religious buildings, exploring how to preserve a fundamental component of the European common heritage without falling in the trap of indirectly financing majority religions. It goes well beyond legal technicalities, offering a fascinating discussion of the relationship between culture and religion.’ Silvio Ferrari, University of Milan, Italy ’This work addresses the issue of religious heritage from the original approach of the principle, terms and conditions of its financing in a dual theoretical and practical dimension. It brings together many experts from law, economics and sociology of religion and contributes to an ever stimulating international comparative perspective." 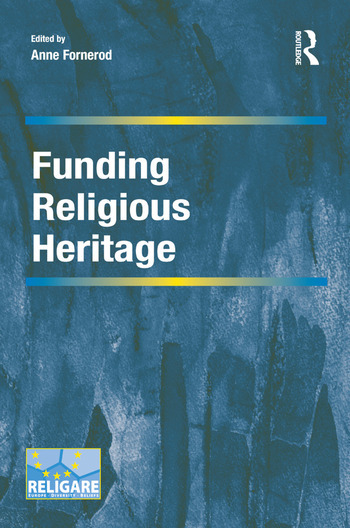 "... it will be a useful source of reference for the legal framework and support mechanisms for religious heritage, plus insights into how they have come about, in a number of European states, (plus Turkey and Quebec). On another level it presents some interesting questions about the church in the modern world which are worth pursuing."